Ajax midfielder Frenkie de Jong dazzled alongside his teammates in Ajax’s shock 4-1 win over Real Madrid this evening. Barcelona have a massively talented player on their hands. The talented young Dutch star will move to the Camp Nou in the summer in a deal worth an initial €75m according to The Guardian. 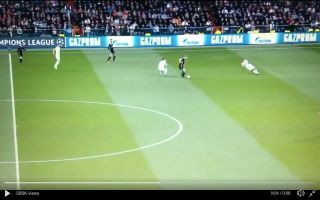 It looked as though De Jong was treating tonight’s clash with the same magnitude as El Clasico, despite not even suiting up for the Blaugrana yet. In the first-half of the clash, De Jong showed amazing skill to fool not just Vinicius but also Ballon d’Or winner Luka Modric. The 21-year-old duped both Vinicius and Modric with a lovely body feint and then he went on his merry way. This will go down as a historical night in Ajax’s history, they are the ones responsible for kicking Madrid off their Champions League pedestal.